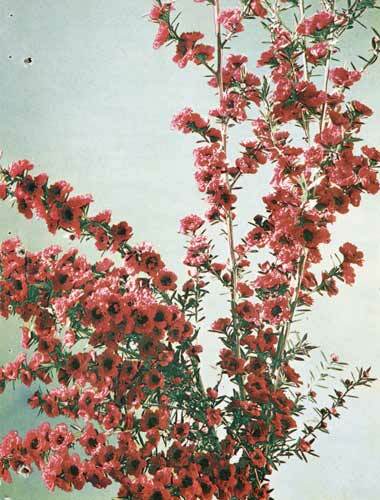 ‘Red Damask’, here advertised in a nursery catalogue, is one of the mānuka (Leptospermum scoparium) cultivars bred by W. E. Lammerts in California. It grows well in sunny, dry locations and produces many dark red double flowers in spring. It is popular in the cut-flower trade. The flowering branches have a vase life of six to seven days.